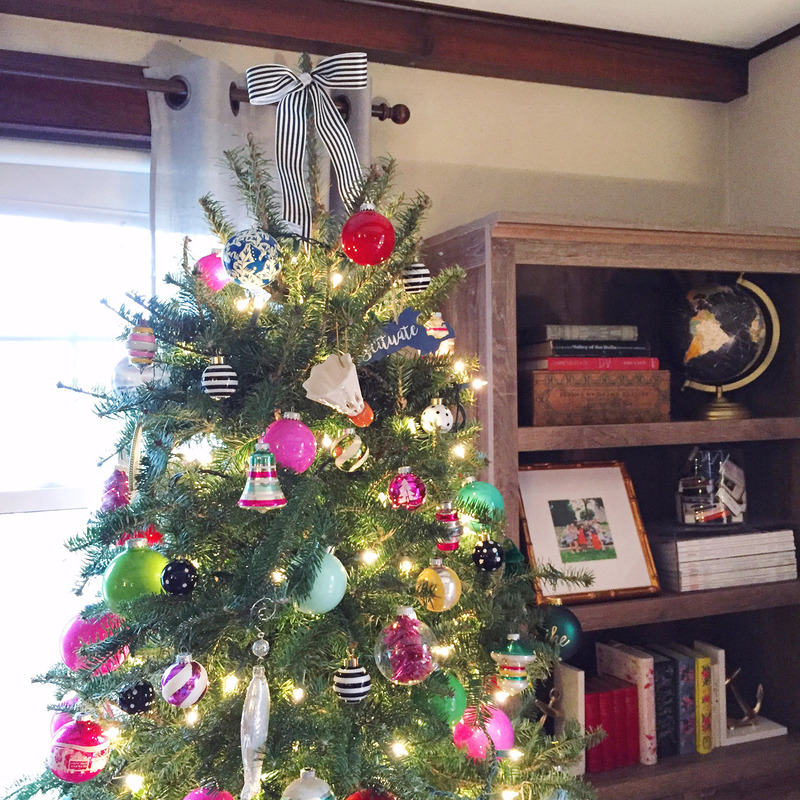 We are getting into the holiday spirit over here with a few festive little decorations popping up around the house! 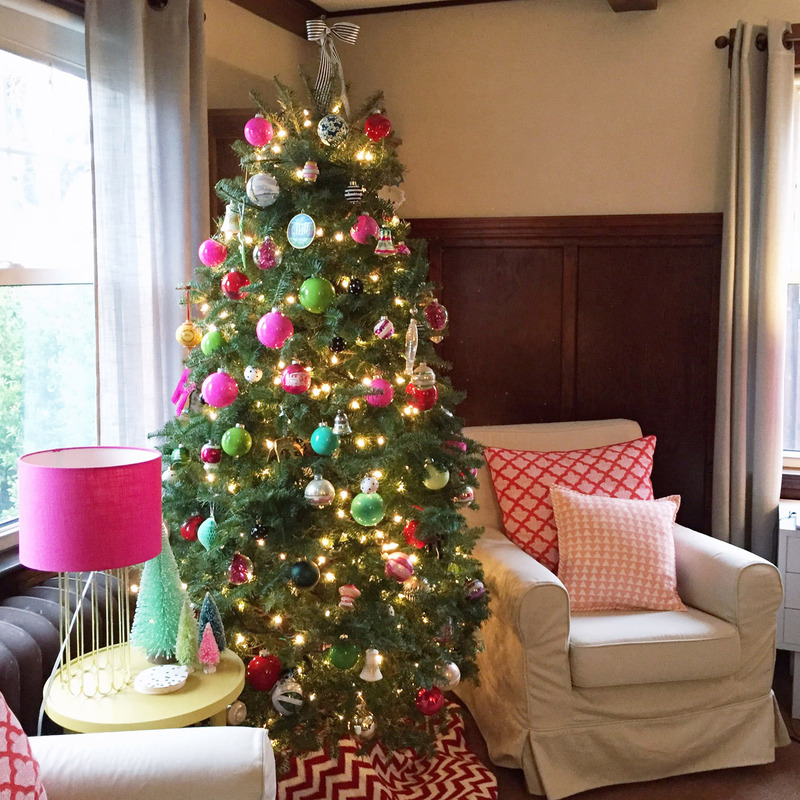 I have to admit that I almost scrooge’d out on Christmas this year — the task of putting up a Christmas tree during month 9 of pregnancy (and perhaps taking it down with a newborn baby at home?) exhausted me just thinking about it. Luckily my husband pushed me to be a bit more spirited, particularly since my family is going to come and stay with us at the holidays for the first time ever! We got our tree last weekend and moved it into the living room — a new spot this year — so we could enjoy it from the comfort of our couch. 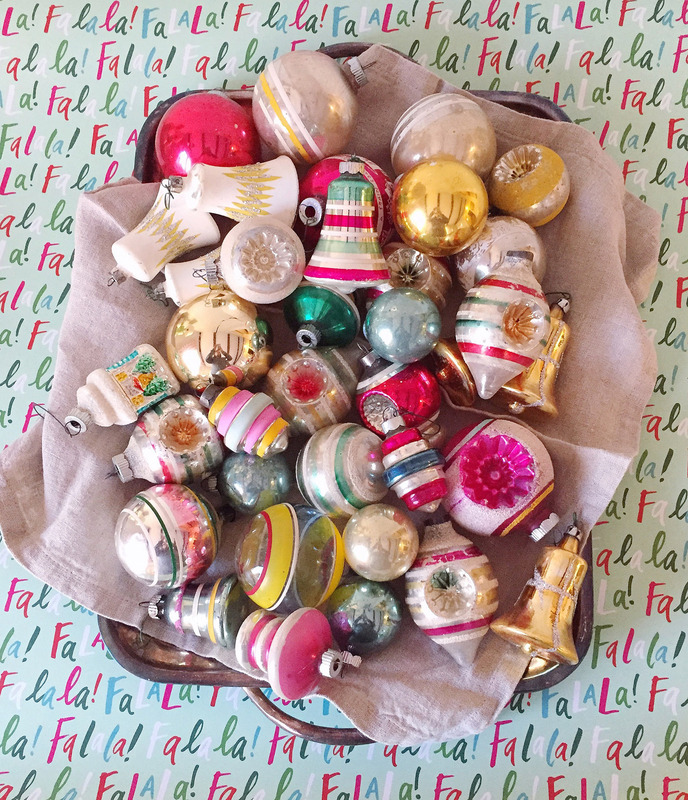 Once it went up and I saw those twinkle lights click on and unwrapped my vintage ornament collection I was instantly happy I hung-up my grinch hat for something a bit more Buddy-The-Elf. 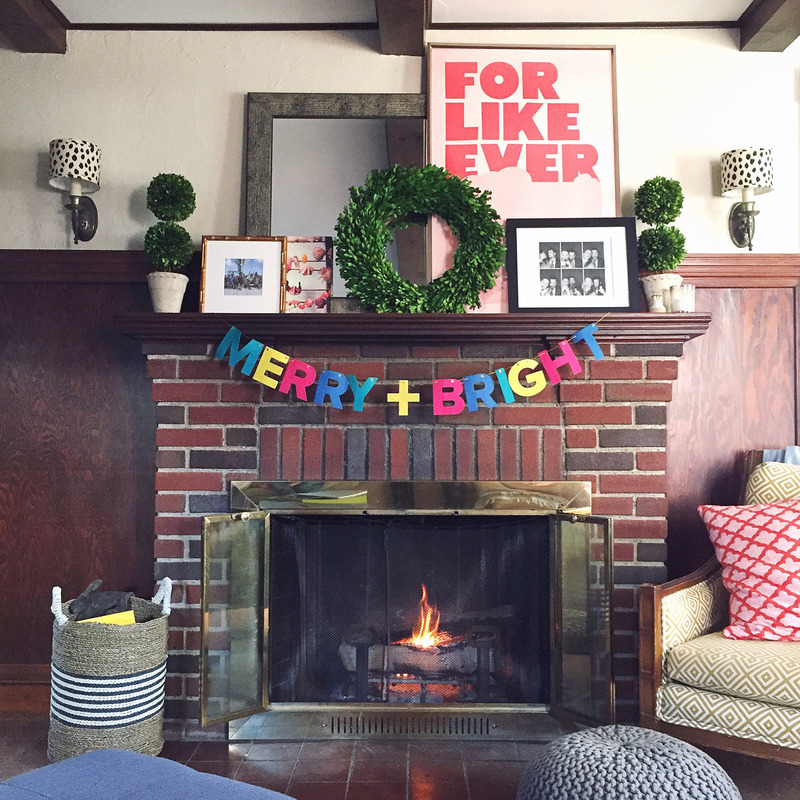 I even added some holiday flair to the mantle with a bright garland message and a boxwood wreath. Now I just need to wrap up my presents and stick them under the tree to be officially Christmas-ready! Goals, Growth, and Planning for the New Year. Holiday Hostess Gifts. 3 Responses to "Getting in the Holiday Spirit." I bought the same Fa la la! pattern as stickers to seal all my holiday cards!